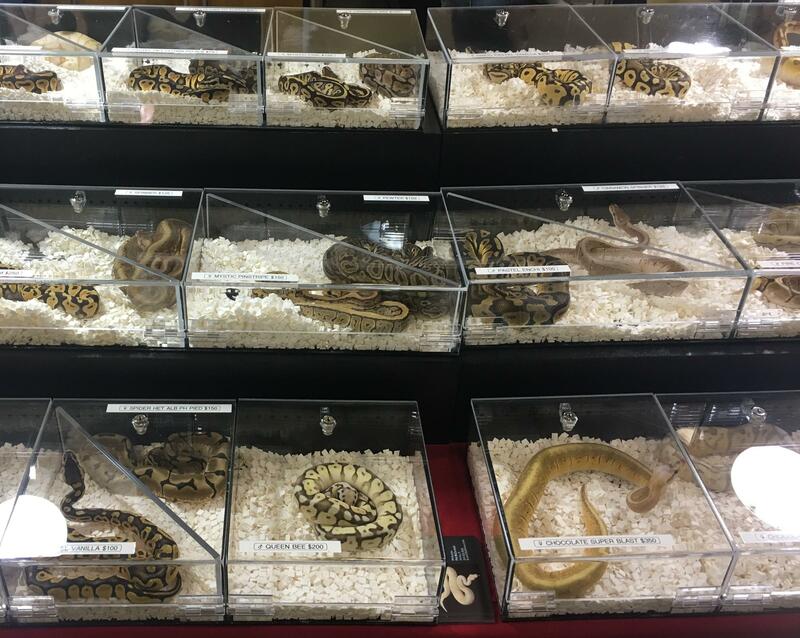 A vendor’s display of available exotic snakes for purchase at an exotic pet expo. This picture features the species called the Ball Python, which is a common pet snake that has many color morphs. The exotic pet trade is the main way non-native reptiles and amphibians get moved around to new places. If people let them go in the wild, they could become new invasive species. Oliver Stringham is the lead author of a study in the Journal of Applied Ecology, and a PhD candidate at Rutgers University. He and his colleague Julie Lockwood looked at 1,722 species of reptiles and amphibians. “Our study looked at the characteristics of species that were released, and we found that species that were large and were sold at cheaper prices, were more likely to be released,” Stringham says. He says that might mean a pet that starts out little and cute gets larger than its owner expected, and he says people might place less value on animals that cost less, and be more likely to let them go. Stringham says some solutions are for retailers to educate people on the risks of releasing pets, and to encourage people to bring unwanted pets to exotic animal shelters (he recommends looking on Petfinder for shelters near you, and he says you can learn more about caring for reptiles and amphibians here). Telling your landlord that the family pet is an “emotional support animal” – when it isn’t—could land you in jail. That’s if a bill introduced recently in the state Senate passes.